runs the gamut of vinous price points. Starting at around $10-$15, you can find white Bordeaux from the outskirts of the appellation, or from places like Entre Deux Mers or Graves. 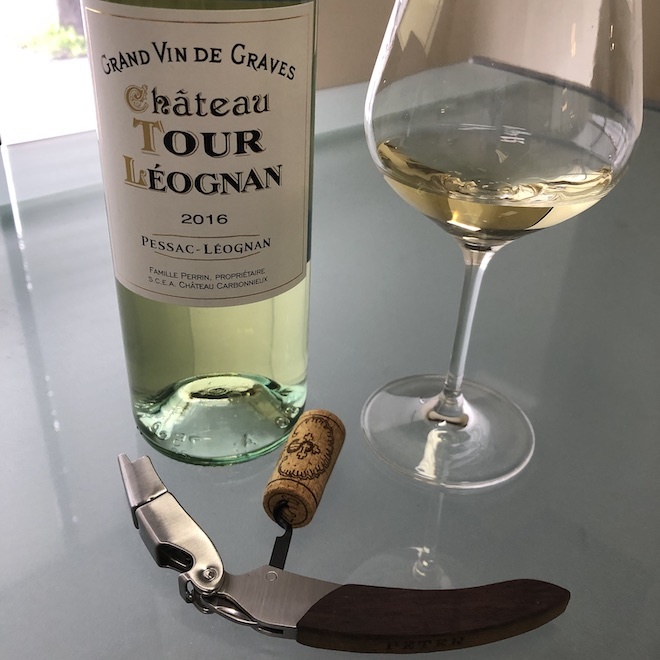 Accessing the more prestigious dry whites from Pessac-Léognan starts at around $35 and quickly escalates to the $100 per bottle level for the likes of Domaine de Chevalier, Smith Haut Lafitte, and Pape Clément. The super-elite siblings of Haut-Brion and La Mission Haut-Brion can fetch upwards of $700, if you can find them. That's a lot of money, but legend has it that tasting one of those with 20+ years on it can be a life changing experience. That's all fine and dandy, but what about those of us who just love the Sauvignon Blanc/Sémillon blends from Bordeaux, who don't want to wait 10-15 years to drink them, and who don't want to spend more than $25? 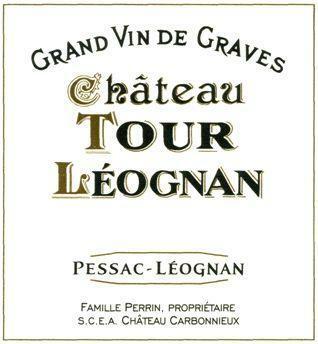 Well, it just so happens that our last container brought forth something for us: the 2016 Château Tour Léognan from Pessac-Leognan. It's $22.98 per bottle. Wait a second, I just wrote that white Pessac-Léognans start at around $35, what gives? Château Tour Léognan is the second wine of Château Carbonnieux, which usually sells for around $35 and seems to always produce wine that outperforms its price! I am a huge fan of Carbonnieux, especially of their blanc. When I tasted Tour Léognan for the first time several years ago, I did not know that it was Carbonnieux's second wine. I liked the sample a lot, and was going to buy the wine anyway, but when the négociant told me what it was, I shrugged and mumbled, "no wonder I like this so much," and the wine sold in a couple of months' time. It's not the kind of white Bordeaux that you age for a lengthy period of time, but its aromas, palate, and finish remind me of wine fancier than its modest $23 price tag. The blend for the 2016 Tour Léognan Blanc is approximately 70% Sauvignon Blanc and 30% Sémillon. The fruit comes from the property's younger vines, which are around 10 years old. The aromas are bright and expansive with citrus fruit, white flowers, gooseberry and a hint of passion fruit. The palate entry is crisp and vibrant showing yellow fruit and citrus, with a soft, medium bodied texture that leads to a finish that's well balanced and complex. It's a great little white Bordeaux, ready to be enjoyed now, though you could cellar it short term. I wouldn't risk it past 3-5 years, or as the chateau's website recommends, "Best enjoyed around 3 years old." That would be now. Waiting. It can be frustrating. It builds tension. Tension that is released when what we’re waiting for finally arrives. It’s kind of like the crescendo in a great song that builds and builds until the final chorus bursts forth and knocks all of that tension to the four corners of existence. So, in spite of a little tension, good things come to those who wait. Ever since I first walked through the doors as a Wine House employee, not a day has gone by without some mention of 2005 red Bordeaux. I likened it to talking about the lives of celebrities. What’s the point? They’re not here. Out of sight, out of mind. So, why bother talking about them? Yet unlike the prospect of Natalie Imbruglia meeting me for lunch, I knew in the back of my mind that someday these wines would arrive. So I listened. And talked. And waited. Did I mention that Bordeaux is what makes me tick? The foundation of why I love the wines of France? The reason why I’m sitting here in The Wine House typing this right now? Yes, it is all because of Bordeaux. The first 2005 we received and tasted was the Mylord, then the Croix de la Roche, Potensac, and Mont Perat. Then I got to taste a handful of bigger names before the recent Sauternes tasting I attended. I must say that I sit in humble agreement with all who use the term legendary when discussing the vintage. In front of me now are seventeen different 2005s in half bottle. I am waiting no longer. A week ago Wednesday, I happened to grab one as I went off to do my Wednesday thing. You see, I have Thursdays off, so for the past several months, Wednesday evenings for me are often spent with my friends at Wellington’s Wine Bar in Sausalito. It is a very comfortable room run by nice people who happen to know a thing or two about wine and offer an array of selections from around the wine world in various sized portions. After cooling off with a couple glasses of white wine off the list, I thought I’d mention to Jeremy, the proprietor, that I had a half bottle of 2005 Larrivet Haut Brion in the car. He chuckled and told me to fix that problem. I fetched the half bottle, we popped it and decanted it. After around 45 minutes or so, we decided to pour a few glasses out. Of course it was youthful, yet was rounded and bursting with fruit. Time passed; everyone involved was blown away by the complexity (mineral, spice, earth, forest floor) that kept popping up as the young wine took a few breaths. I came in to the shop on Friday morning with high praise for the 2005 Larrivet Haut Brion. Such high praise, I might add, that I convinced Ben to take a half bottle home. He usually shakes his head when he hears me talk up a young Bordeaux. Not only did he take it home … per my recommendation, he decanted it for two hours. He came in on Tuesday gushing (yes gushing) with enthusiasm. “Three thumbs up”, he said. I’ve never heard him say that about any wine. Immediately after we opened the bottle, we poured it into a decanter and it was pointed out to me that the aroma was much like buttered popcorn. It was. Ben suspects it experienced malo in barrel (which appears to be a trend though no one really speaks of it). It would need time for that toasty new oakiness to blow off and to let the fruit emerge. After 45 minutes or so, when it was time for that first sip, I found the aromatics to scream of spicy, dark berry fruit. On the palate, it was rich in fruit, yet showed elegant restraint; not going “over the top.” The tannins held up their end in silky fashion without taking center stage. More time in the glass only began to reveal the true makeup of this wine. We were all in agreement that every time we went back for another sip, another nuance would present itself. We found forest floor, spicy mineral, pencil lead, leather, and earth, all held together by the high-toned structure. Needless to say, a mere half bottle didn’t stand a chance with us. We were begging for more when it came up dry. Jeremy took the empty bottle and said, “Hall of Fame”, then put it up with the rest of the trophy bottles that line Wellington’s windows.